No matter you are a new importer or a regular buyer from China, you will want to bear in mind Chinese holidays for order schedules. 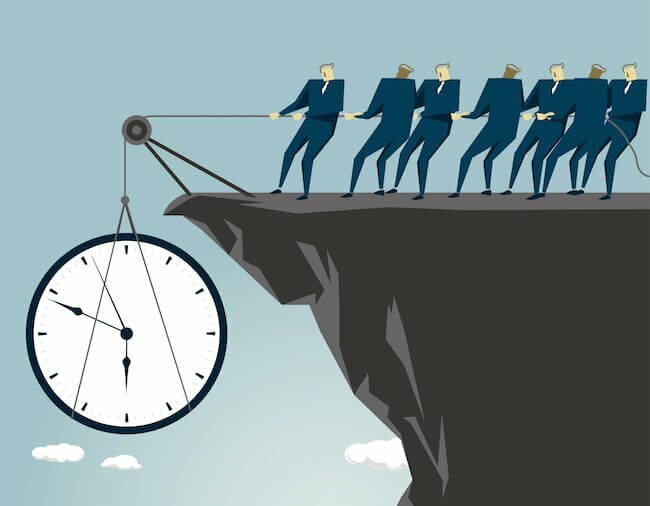 You don’t want the traditional cultural difference to delay your products dispatching time, causing a shortage of inventory or even losing your precious client resources. Now let’s look at what holidays there are in China 2019. Among these holidays, not every holiday will have a big impact on your business in China. The holidays that only have 3 days off will only influence the delivery if your order is really urgent. But an emergency could happen. You will need to take these holidays into consideration beforehand. If the cargo is expected to ship by sea, the shipping can be delayed to next week’s shipping date. If the cargo is expected to ship by air, the shipping can be delayed a couple of days just as the length of the public holiday. What you need to pay close attention to is the 2 week long holidays: Spring Festival Holiday and National Day holiday, especially the spring festival holiday. I believe lately you’ve been pushed a bit by Chinese suppliers to speed up your decision to place the order as the new year of 2019 is coming the right way. You may be wondering why the rush. It’s just a new year holiday, just a couple of days off, no big deal. Well, you will find out why it’s important to you if you are importing from China from the following aspects. 1. What is the spring festival holiday? Spring festival is also known as Chinese New Year(CNY) or Lunar New Year. It’s a period of time that most Chinese will go back to hometown to spend some quality time with families and friends and take a short rest after the year-long working days. 2. How long will spring festival holiday last? The public holiday duration is 7 days but different companies will vary. The holiday can be from 7 days up to 30 days or even longer for the migrant worker’s case. 3. How important is this festival to Chinese? A data can explain it better: Over 2.9 billion trips will be made around China during the 40-day Spring Festival travel rush, which kicked off Sunday, traffic police authorities estimated. Chinese people will reunite with families and welcome the new year together. 4. What do Chinese companies/manufacturers do around the spring festival? Some factories will try their best to clear their stock lot at the year-end. It will help with the cash flow recycling and final year performance fight. This is why you may be pushed by some supplier’s sales rep. to make balance payment when the time is not quite there yet. Right before the spring holiday, most companies will hold an annual meeting and party. This will be as the year-end summary and get-together. All staff will be attending the meeting and party to celebrate the coming new year. Many Chinese companies run an incentive system. Different title staff will have different award system. The year-end bonus is one of the extra awards to motivate employees. For example, sales will get certain amount or percentage of bonus if they hit the specified sales amount or profit amount. Factory floor workers often get an extra bonus with the employer’s purpose to keep their loyalty, because there’s still a migrant shortage every year. (1)During the new year gathering, there are more job opportunities introduced by families and friends. (2)They will change to work for the company who gives higher wages and has stuffed with production orders. Employers typically let floor workers leave for holiday 1-2 weeks before the public spring festival holiday starts. (1)The new year travel rush (Chunyun in Chinese)is under big pressure. Most migrant workers are far away from home. It’s very difficult to get a ticket during this time of year. Some far away trip can take a couple of days to arrive at home. (2)This has become kind of the worker’s tradition, though it’s not a written holiday rule. A majority of Chinese factories are doing so. It is also one of the aspects that employer tries to add employee’s loyalty. (3)Welfare apart from basic wages. The shut-down duration ranges from 7 days to 30+ days. When it’s put “SHUT DOWN”, it DOES mean they are off work. No one will be in the factory. No cargo will be able to ship out from the factory during the holiday time (as per different company’s new year holiday notice). It’s not like some of the staff taking holiday or vacation. It’s an all people holiday. Factories will be shutting down. The office will be shutting down. Stores in the street will be shutting down. If you are here in China during the CNY, you will be expecting “empty street”. Office staff including sales, administrators, accounts, managers normally will take 1-2 week-long holiday. Floor workers will normally take 2-4 weeks for holiday. As mentioned, migrant workers are possible to not return to work for the original employer. A 50% leaving can be seen and some factories may suffer even heavier worker leaving burden. 5. What exactly will this have to do with your importing from China? 5.1 Who will be on CNY holiday? 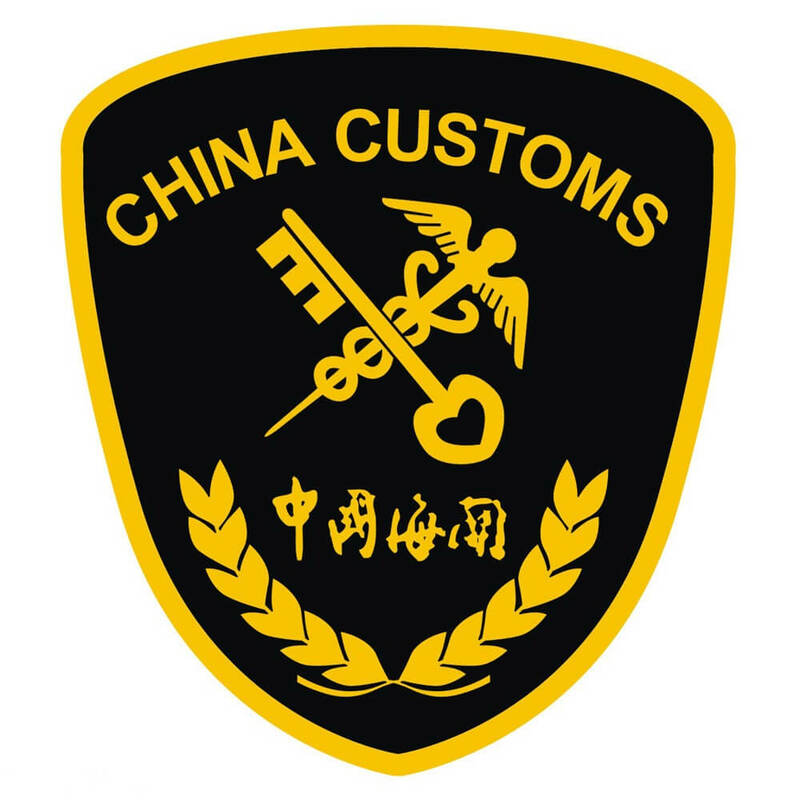 The China Customs is a government agency that supervises and manages all arrivals and departures from the customs territory of China mainland. In the case of exporting goods to you, cargoes have to make customs clearance before really shipping out. To export from China to different countries, different certificates can be a request. CCPIT is one of the organizations who handles certificates like COC(certificate of origin). If to make customs clearance at destination port requires certain certificates, you will need to get it done beforehand. Logistic related companies include shipping freight forwarders, warehouse provider, trucking service, forklift service etc. These service providers will also be away for public new year holiday. As a rule of thumb, 99% of companies and organizations will be away from the office for the spring festival, especially from Feb 4th to 11th, 2019. 5.2 What can CNY impact? Generally speaking, factories will stop taking new orders from clients before the spring festival comes. Some factories might still be taking new orders, claiming a shorter production lead time. Technically, orders are really hard to refuse. You will definitely need to spot whether they are telling the truth if it’s an urgent order. For orders to get manufactured before the spring festival, factories will have different production priorities. Normally the following left part wins higher priority over the right part case. Due to the arrival of the Chinese new year, factories have a super tight schedule. All geared up to finish orders and ship out as many goods as possible, there can be a bit of sacrifice on the final quality. Typical mindset could be — it’s not a big deal if we lax a bit on this tiny part as long as we can catch up the last shipment. As opposed to normal working days, there will be heavy new year holiday atmosphere invading the office or the factory. It doesn’t mean that the workers or staff not working hard. It is the holiday atmosphere thing. People can sense the holiday and the happiness it will bring. The festival is a great reward for all of them. All the year round, there’s only this week-long(or longer) holiday that people can get together will the most of friends and families and really enjoy a break and celebrate the coming new year. What it means is that workers can be kind of excited about it and it can bring some distraction unconsciously. Some factories may lack a proper quality control system. This can be quite a disadvantage especially when it comes to year-end order production. The defect rate could raise and there might be unpleasant surprises. Due to the same reason of year-end rushing, some factories may subcontract some of the orders or parts production. Quality control of subcontracted orders is always a big problem. As of this factor, it happens on orders that will be produced after the factory is back on track. New floor workers have to get in because of the left workers. It will take some time before things can run perfectly well. The worker’s skill, performance, training, value system will more or less influence the product performance that he or she is dealing with. As mentioned, logistic will have a quite busy order queue before the spring festival. (1)They will be extremely busy before the spring festival, thus causing an increase in the costs. 6. What can you do to avoid this holiday impact? 6.1 Try not to place an order at this time if in urgent case. Yes, your order is an emergency case in your perspective. But it is not that urgent or important to floor workers compared with the case that they are going home to spend valuable time with families and enjoy a good rest. 6.2 If you have to place the order around the holiday season, what to expect? (1)Try to hook up a bigger factory (matching your buying power and order scale as a basis). Regularly, a bigger factory has better welfare to keep staff loyalty and quality control system. (7)Book shipping in advance due to possible shipping order queue. If you really have to get your cargoes out of China before CNY, confirm with your vendor the date when they’ll get the goods ready for shipping and book shipping in advance. (8)Try to build a closer relationship with your supplier. Why? People are talking about business is business and there should be no personal or other things getting involved. Well, I wouldn’t say that. Because different culture varies. In China, it’s a tradition to build a relationship with vendors. If you send some warm words to your vendor in a specific holiday, they will no longer feel cold in your relationship. Some clients give suppliers small gifts. Often suppliers do so as well. 6.3 Always plan ahead whenever possible. Plan ahead your coming orders to get manufactured in China. Take into consideration the holiday season impact, your estimated inventory request, regular production lead time and more. These tips not only apply to urgent orders to get manufactured in China before Chinese new year holiday, but also apply to general orders in other time of year. It is not that one tip that will save you all troubles but all little details will contribute to a better production result to import to your warehouse. Hope you will find this post helpful. Feel free to let us know how we can provide more value for you.